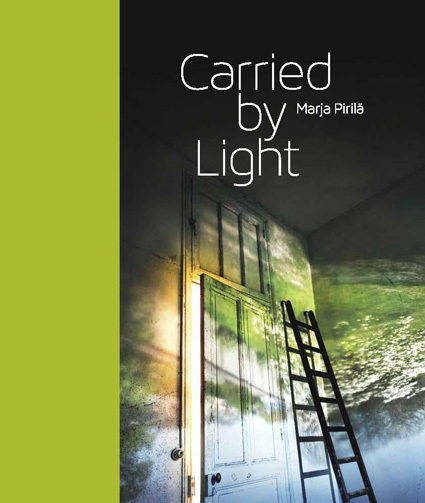 Marja Pirilä´s new book "Carried by light" was launched in June 2014. It is a cross-section of Pirilä´s extensive production - always with a focus on light and its power to entrance. Finnish photographer Marja Pirilä shows us the everyday world in an unexpected light. Specializing in the camera obscura techinique, she lets the very core and magic of photography to shine forth. By transforming spaces into "Dark Rooms" Pirilä captures the dreamlike reflections of light and the merging of interior and exterior worlds. With the age-old method she scans the subconscious layers of our environments and mental landscapes. Essay by Jyrki Siukonen, languages: English & Finnish, hardcover: 269 pages, dimensions: 21 x 25.5 x 2.8 cm.